The Constitution does not indicate what bail means, indicating that the concept was well known and was an accepted practice in the legal system at the time the amendments were written. Bail is simply defined as money paid to a court to get a prisoner released from custody. The defendant pays bail or the defendant’s representative. The local courts determine a schedule of standard bail amounts. Bail amounts are usually based on the seriousness of the charges. And some charges, such as murder, may not be qualified for bail. If a defendant does not pay bail, he will be held until his arraignment, at which time the judge will determine a proper bail amount, or deny bail. The basic premise is that money can be paid to the court, which guarantees the defendant’s appearance for trial. In return, the court will order the jail to release the defendant and will reimburse or exonerate the bail amount once the case has settled. If the defendant does not appear for trial, the bail is forfeited to the court. Defendants are sometimes released on their own recognizance. This is also called an OR bond. No money is paid under an OR bond, but the promise is that the defendant will appear in court. This is usually done if the charges are not serious, and/or if the defendant has strong ties to the community. If the defendant owns property in the community, or has a family and is employed locally, in many cases the court will allow release from jail with an OR bond. If on the other hand, the charges are serious, or a defendant is considered to not have strong community ties or is considered a “flight risk,” meaning that he is likely to leave town once released, then the court will require payment of bail, which is considered as a guarantee that the defendant will appear. If a defendant cannot afford the total amount of bail, a bail bondsman can be used to post a bond with the court guaranteeing the defendant’s appearance. A bail bond is a binding contract between the bail bondsman, a co-signer, and the defendant. The co-signer must guarantee to the bail bondsmen that they will pay the full bail amount if the defendant does not appear for trial. Bail bondsmen charge a non-negotiable and non-refundable fee for this service. 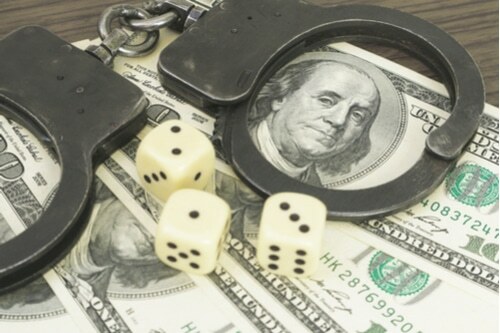 In the state of Nevada, the amount charged by law is 15 percent of the total bail amount. A bail bondsman cannot charge less than this amount and are allowed by law to charge miscellaneous fees to provide notary and other services that facilitate the bond process. The bondsman may allow a payment arrangement under certain circumstances, if the defendant cannot afford to pay the full 15 percent bond fee at the time of issuance of the bond. Bail bondsmen may also require collateral for the amount of the bond, i.e. the 15 percent bond fee. If the defendant owns property the bail bondsman may require a lien on the property in return for his guarantee that the defendant will appear for trial. Once the case has concluded, and the bond is considered exonerated, the lien will be released. If the bail bondsman concludes after missed court dates and no response to his attempts to make contact, that he may have to pay the full bail amount to the court, or forfeiting the bond, he has the right to arrest the defendant and deliver him back to jail. This is called surrendering the bond, since the defendant is now under control of the court, the bondsman is no longer required to pay the bail. Bail bondsmen can provide a valuable service that satisfies the court that either the defendant will appear to stand trial or the bail will be paid. The Defenders can recommend a reputable and reliable bail bondsman if you or someone you know is currently incarcerated. Call us today to talk about your situation at (702) 333-3333.